After at least four decades of disagreement on lien reimbursement calculations in high third party settlements, the Appellate Division this week handed down a reported decision in Liberty Mutual Insurance o/b/o Sabert Corporation v. Jose R. Rodriguez, A-0112-17T4 (App. Div. April 2, 2019). Betsy Ramos, Esq., co-chair of Capehart’s litigation department, successfully argued the cause for the workers’ compensation carrier. The facts of the case are simple. Mr. Rodriguez was injured in 2012 arising out of his employment with Sabert Corporation. 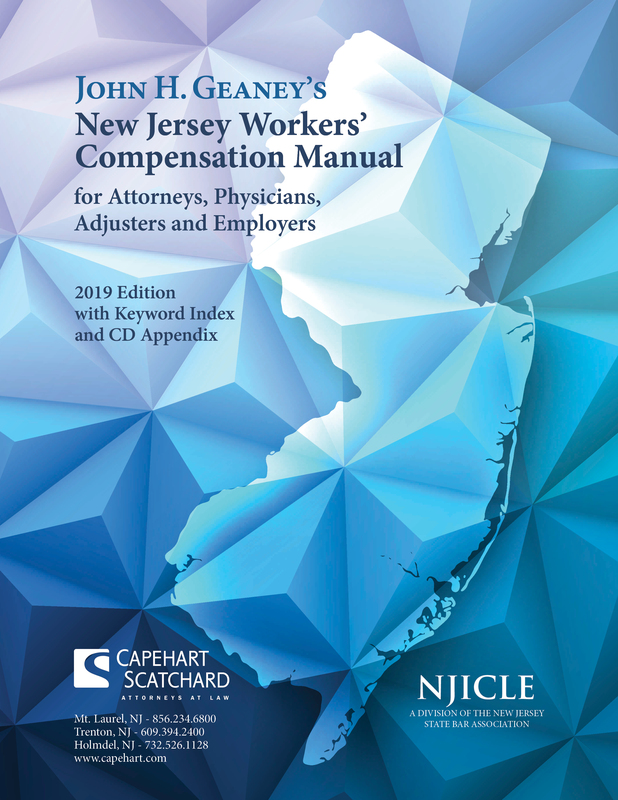 Liberty Mutual, the workers’ compensation carrier for Sabert, paid $148,590.40 in workers’ compensation benefits including medical and temporary disability benefits. Mr. Rodriguez sued the tortfeasor and settled his third party suit for $1,200,000. The question was how to calculate Liberty Mutual’s lien: was it two thirds or higher than that percentage? The law firm for Rodriguez sent a check for two thirds minus $750 for costs. Liberty Mutual rejected the offer and filed an order to show cause and verified complaint claiming that the percentage should be calculated based on the actual fee paid by the injured worker to his lawyer as a percentage of the overall settlement. There is a standard court rule for legal fees in large civil settlements. Rodriguez paid his third party lawyer based on the court rule at that time: one third of the first $500,000; 30% of the next $500,000 and 25% of the next $500,000 for a grand total of $366,666. The current court rule applies to stages of $750,000 today. Rodriguez actually paid 30.56% of the total settlement of $1,200,000 in counsel fees. Liberty Mutual therefore argued that its lien should not be 66.67% but rather 69.44% (100 minus 30.56 = 69.44). The trial court agreed with Liberty Mutual, and Rodriguez appealed to the Appellate Division, which affirmed the trial court. Rodriguez argued that Liberty Mutual should be limited to two thirds because he paid only one third of the first $500,000 to his lawyer, and Liberty’s lien did not exceed $500,000. It totaled $148,590.40. The Appellate Division reviewed conflicting decisions on this issue, one Supreme Court case going back to 1955 (favoring Liberty’s position) and one reported Appellate Division decision from 1974 (favoring Rodriguez’s position). In the end, the Court ruled that the 1955 Supreme Court decision in Caputo v. Best Foods, Inc., 17 N.J. 259 (1955) was binding on the Court in spite of subsequent Appellate Division decisions that took issue with Caputo. The Court ruled in favor of an approach which focuses on how much the injured worker paid his or her lawyer. One takes that figure as a percentage of the total settlement. So Liberty Mutual’s lien was in fact 69.44% of the $148,590.44 or $103,181.20 because that is the composite percentage of how much Rodriguez paid his lawyer. It did not matter that Rodriguez paid one third of the first $500,000. You need to work through all the staged payments that Rodriguez paid, the first at one third, the second at 30% and the third at 25%. This is a significant victory for employers, third party administrators, and carriers. There are many million dollar settlements in third party cases stemming from workers’ compensation injuries. We now know how to calculate the lien. The confusion between competing published cases has been resolved. The ruling means that respondents will recover greater than two thirds when the third party settlements are significant such as those in the seven figure range. As practitioners know, it is not always accurate to say that respondent’s lien is two thirds. It is never less than two thirds, but it can be more than two thirds, as this case illustrates.